The overwhelming majority of those facing execution today have what the court termed in Hall v. Florida to be diminished culpability, wrote Harvard professor Charles J. Ogeltree, Jr. Severe functional deficits are the rule, not the exception, among the individuals who populate the nation’s death rows. 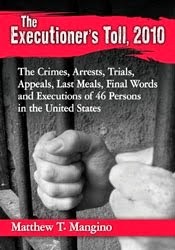 The Failure of Mitigation?, a new study by Robert J. Smith, Sophie Cull and Zoë Robinson, published in Hastings Law Journal, of the social histories of 100 people executed during 2012 and 2013 showed that the vast majority of executed offenders suffered from one or more significant cognitive and behavioral deficits. One-third of the offenders had intellectual disabilities, borderline intellectual function or traumatic brain injuries, a similarly debilitating impairment. More than half of the 100 had a severe mental illness such as schizophrenia, post-traumatic stress disorder or psychosis. The Smith, Cull and Robinson concluded that the vast majority of executed offenders possess significant functional deficits.